I just got this beautiful watch around Valentine’s Day. (By the way ladies here is a great gift idea for your man for V-day.) I am so pleased with it, I wanted to share it with you. 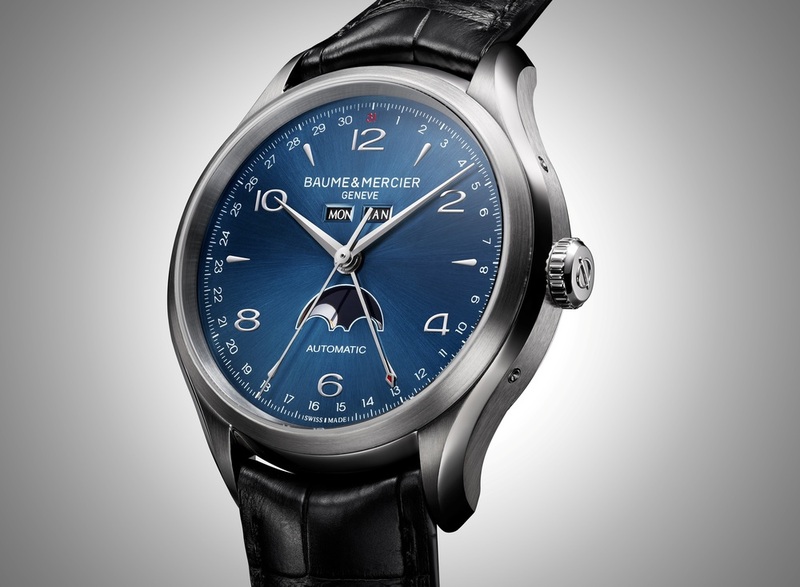 It is the Baume et Mercier Capeland Chronograph. 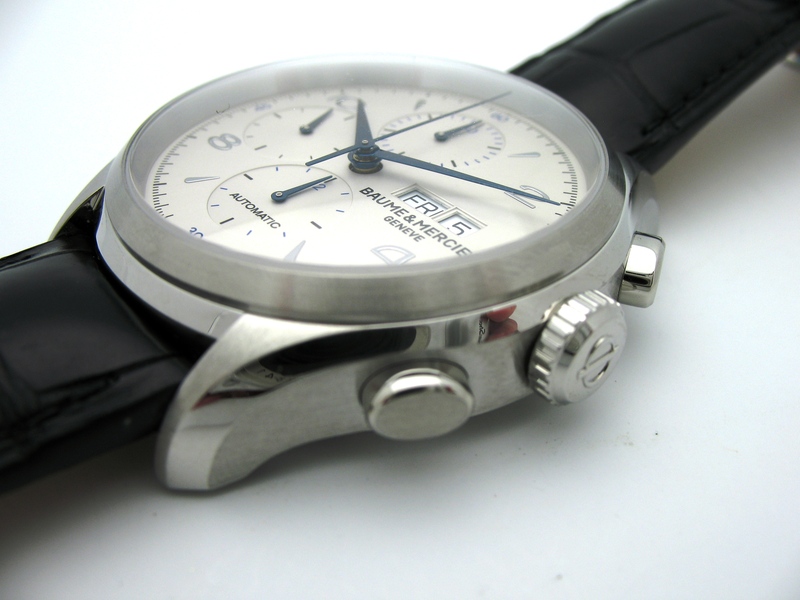 It has a nice heavy feel, beautiful dial with arabic numbers, and a scratch resistant sapphire crystal. 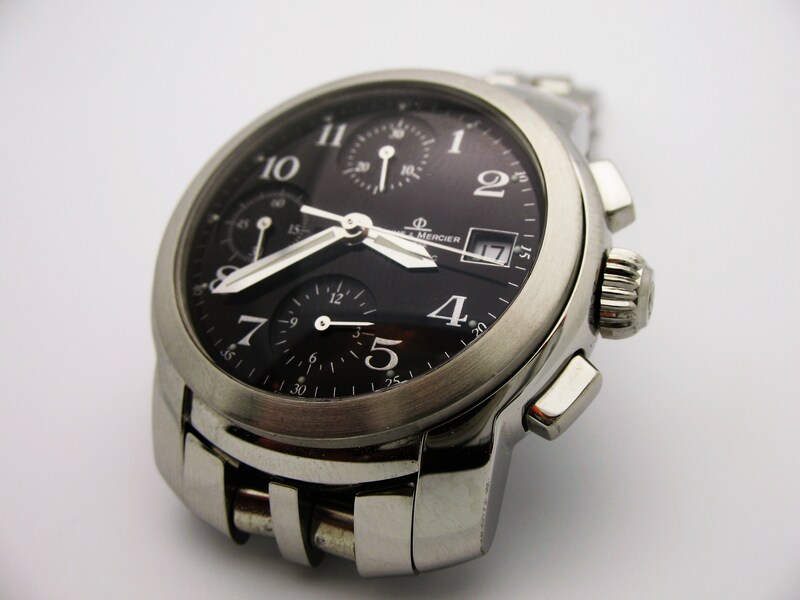 It is water-resistant to 100 meters, with the help of a screw down crown. 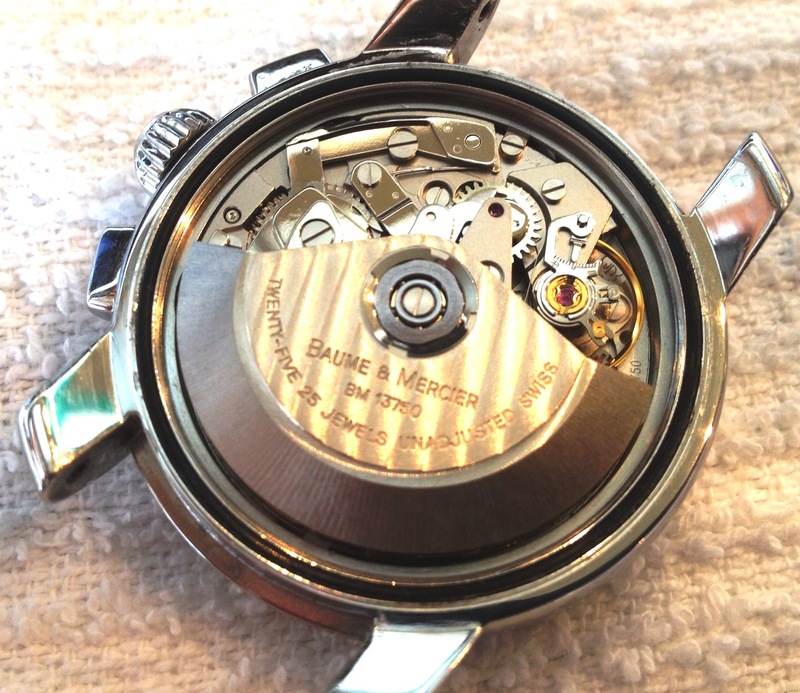 It is powered by a Valjoux 775o automatic movement with some nice embellishments, unfortunately it has a solid case back so you can’t view it. I always loved the classic black dial on stainless. Bracelet or strap, I don’t care which, however, this piece deserves a nice panther link bracelet. 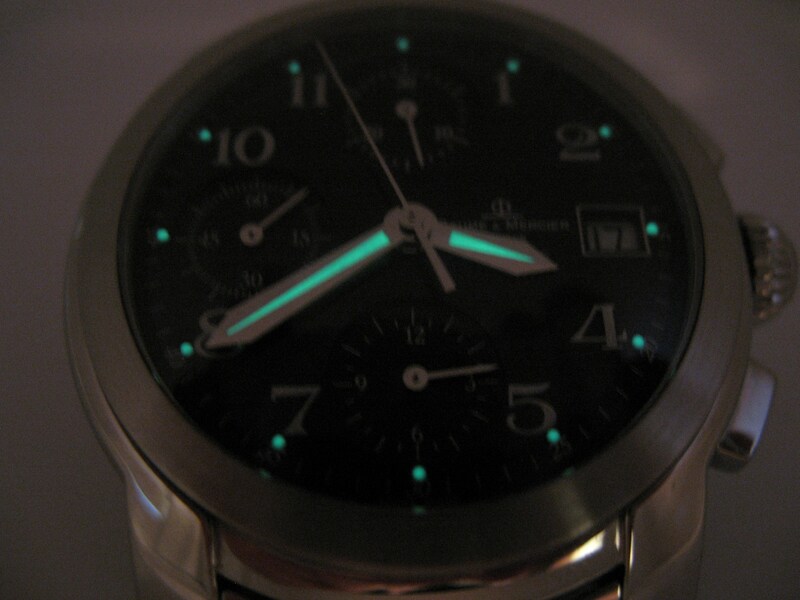 I also really love the strongly luminous hands and indicators on the dial. It is gorgeous. 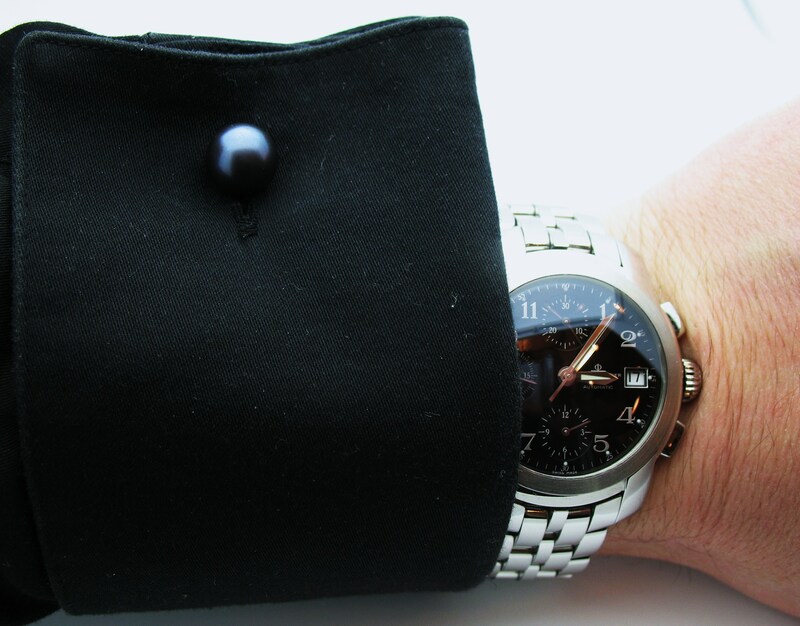 I wore it today with a black french-cuffed shirt (French cuffs are the best) and my black pearl cuff links. Plays nicely don’t you think? The crystal has a nice slight bubble top shape that is kind of reminiscent of a pearl so I thought it was appropriate. 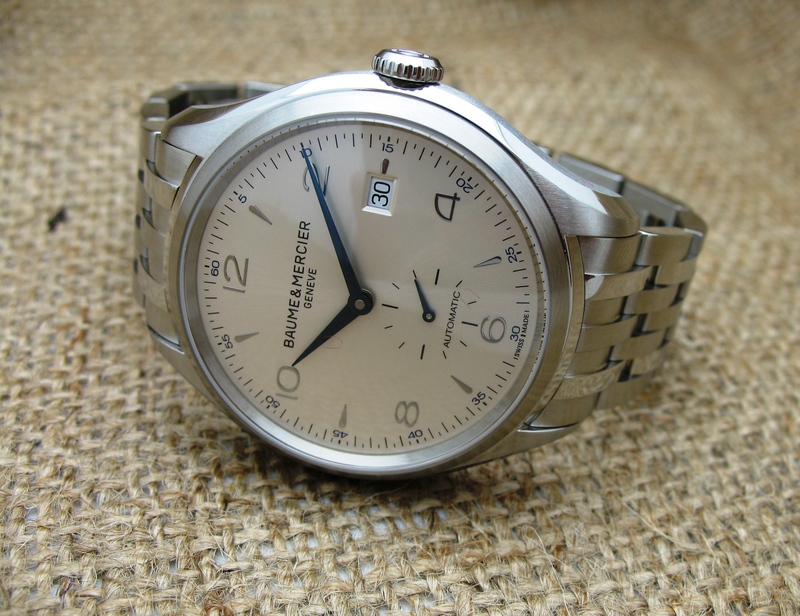 Check out Baume Mercier, these watches know….how to be swell.